Well, 2012 has been one hell of a year both in the life of Kate and for the world at large. I started this humble little blog on April 30th — exactly seven months ago. And while I’ve been admittedly pretty lax in my posting since I started working full time, I’m still proud of this little blog. Thanks to WordPress for “freshly pressing” my post on productivity this summer and to all of the new readers it brought to my blog. I will try to keep those who have hung around at least mildly entertained in 2013 with new posts. Ladies and Gentlemen, today marks the first day of December and we couldn’t resist sharing Project Gutenberg’s Literary Advent Calendar courtesy of Hymns and Carols of Christmas. Thanks to Project Gutenberg, all texts listed below are free online by clicking on the links. 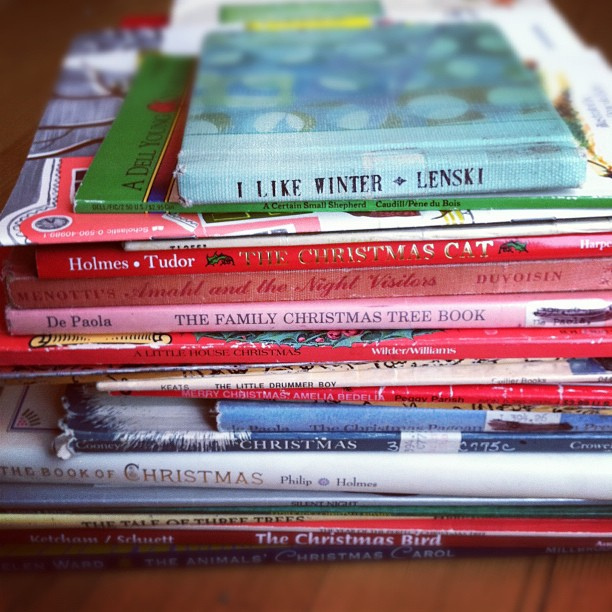 Of course, you can supplement or substitute with Christmas favorites of your own including children’s Christmas stories like HOW THE GRINCH STOLE CHRISTMAS and THE POLAR EXPRESS.